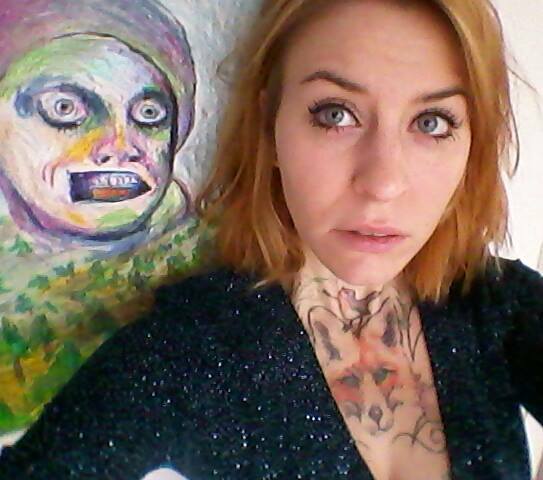 Saphira Kunst was born and raised in Kreuzberg, and she still lives there today. Working under the artist name ‘Sela Loex’ . She uses expressive, violently-colored pastel drawings and watercolors to tell stories, often based on German proverbs. In her pictures, she creates dreamworlds that highlight contradiction, oddity, confusion, and fantasy. Her drawings brim with various facets and unusual perspectives, from abrasive to mystical and mysterious. Occasionally tender and sensual. Always enchanting. Her drawings reflect an impressive understanding, through travel and research, of a world she meets with curiousity and eagerness to grow. One of her stops was Prague, where she spent time in 2012 thanks to an international scholarship. In 2014, she moved on to Istanbul, Los Angeles, and London. In 2015, Tokyo, Lombok, Bali, and Cyprus. She contemplates her experiences and impressions from these journeys in sketches that have become a critical component of her work. She wanted her grey/white drawings to be understood as banal observations. They became much more, putting on paper scenes of life and the world, in singe frames and puzzle pieces, that outline an entirely unique reality the viewer can trace. Her influences include Tim Burton, Anthony Micaleff, Beth Cavaner-Stichter, Annegret Fuchshuber, Marc Ryden und Nicola Bayley. After finishing an apprenticeship as a technical design assistant with an emphasis on scenography and historical preservation, Saphira worked at the Theater an der Parkaue, supervised the play “Der fliegende Holländer” (The Flying Dutchman) at the German Opera in Berlin, and directed props for the short film production „Die Organisation – Eddy kommt nicht“ (The Organization- Eddy isn’t coming). In February 2013, she completed her second apprenticeship as a graphic designer, illustrator, digital artist, comic illustrator, and cartoonist at the School of Visual Arts and Design in Berlin. She wrote, illstrated, and self-published her first book, „Die Kunst der Imagination – Loex und die fremde Welt“ (The Art of Imagination- Loex and the Strange World). Saphira Kunst designed firewalls on Oppelner Straße and Mariannenstraße in Berlin in 2008, in cooperation with the artists NOMAD and Ash for a project by Backjumps/Bethanien. 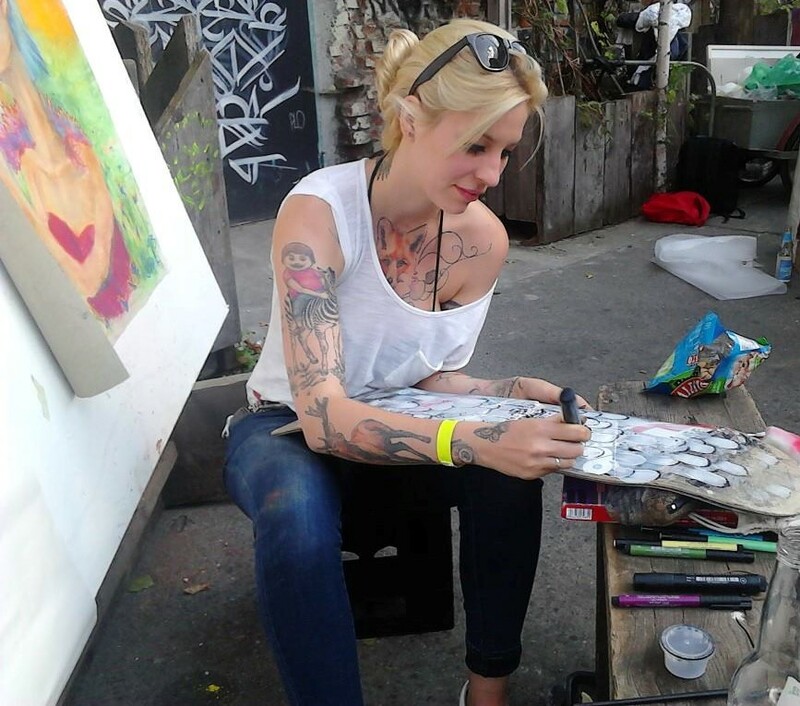 In addition, she worked with the artist group Urban Art Cash and took part in Berlin Graphic Days #3 in 2013. 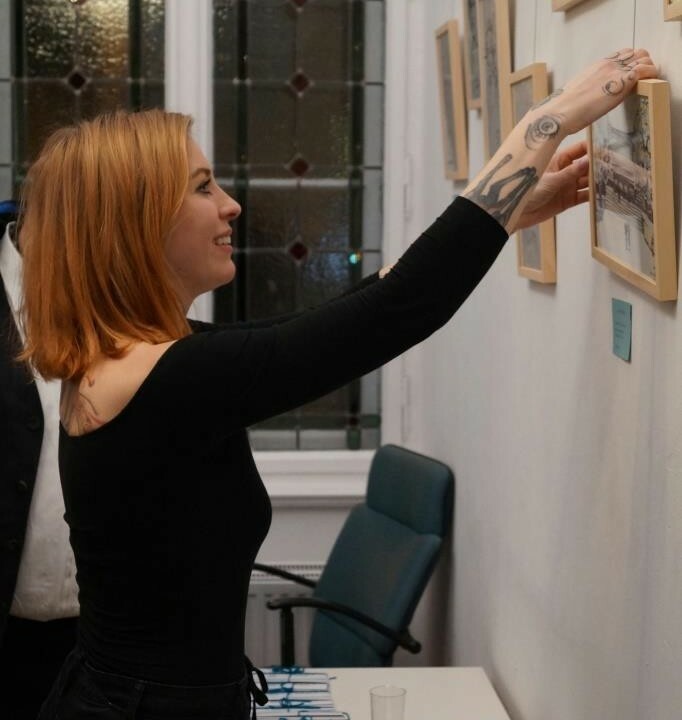 In 2014, she presented her work as an independent artist and illustrator at Berlin Graphic Days #5 in the Urban Spree Gallery. In July 2015, she participated in Colours Illustration Open Air in Postbahnhof. From March through July 2016, you can see her exhibition “Contenancen” (CONTENANCES) at PharoDercks Language and Art. © 2015 PharoDercks GbR | Alle Rechte vorbehalten.